Barletta Pontoon Boats, located in Bristol, Ind., has received another early indication that the product, and the company, is heading in the right direction. The February retail registrations report distributed by Statistical Surveys, Inc., one of the most trusted market share data resources in the industry, places Barletta Pontoon Boats squarely in the top 10 manufacturers at number seven. 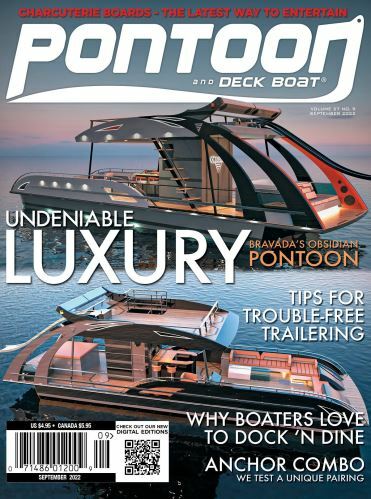 Breaking onto the scene in January of 2018 at the Chicago Boat Show, Barletta Pontoon Boats has only been in full production for just over a year. And, an eventful year it has been. Accomplishments over the past 13 months, include 20 plus Top 100 Dealers according to Boating Industry Magazine, awarded a 2018 NMMA Innovation Award, received a 2018 Customer Satisfaction Index (CSI) Award from the NMMA for maintaining a satisfaction score over 90 percent from initial customer surveys as well as released mid-level C-Class line and the EX23Q expanding pontoon.